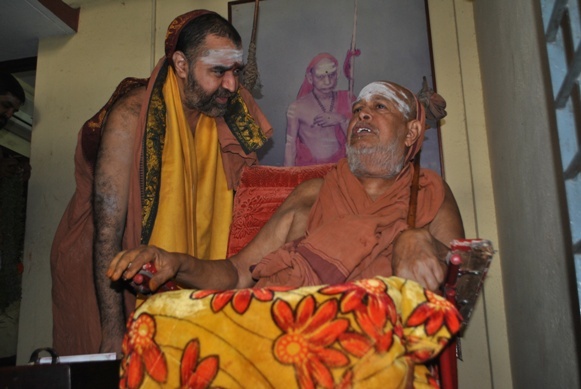 Their Holinesses Pujyashri Jayendra Saraswathi Shankaracharya Swamiji and Pujyashri Shankara Vijayendra Saraswathi Shankaracharya Swamiji performed the Nitya Chandramouleeswara Puja at Kalavai on 20 April 2014. 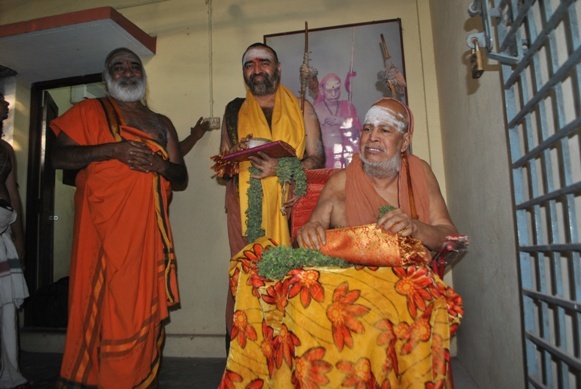 After the Nitya Chandramouleeswara Puja, Their Holinesses performed pujas at the Adhistanams of the 66th and 67th Acharyas of Shri Kanchi Kamakoti Peetam. 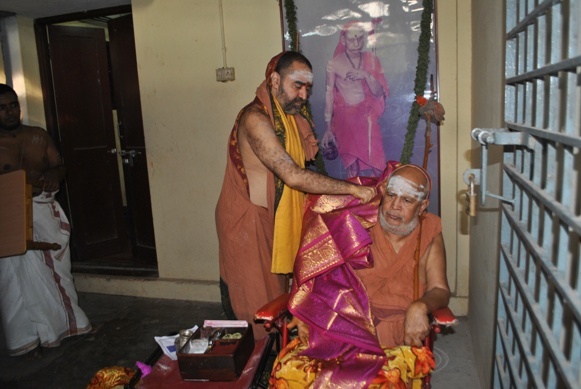 Kanakabhishekam was performed to His Holiness Pujyashri Jayendra Saraswathi Shankaracharya Swamiji by Pujyashri Shankara Vijayendra Saraswathi Shankaracharya Swamiji. 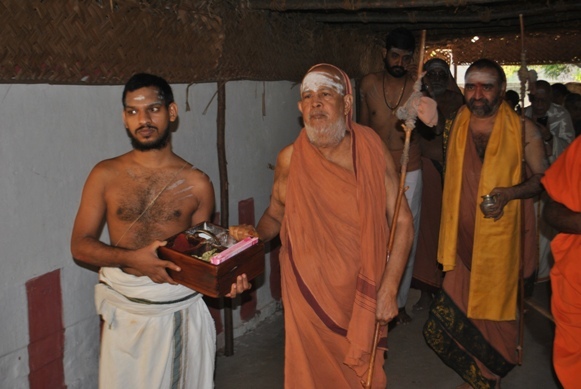 Later, Their Holinesses along with the Puja left for Bangalore. 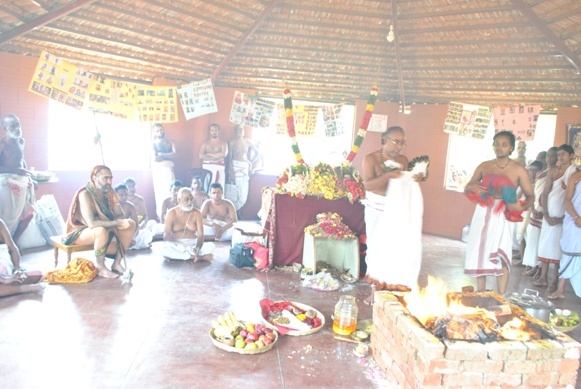 Kalavai is a small town located at about 45 kms from Kanchipuram, in the Vellore District. 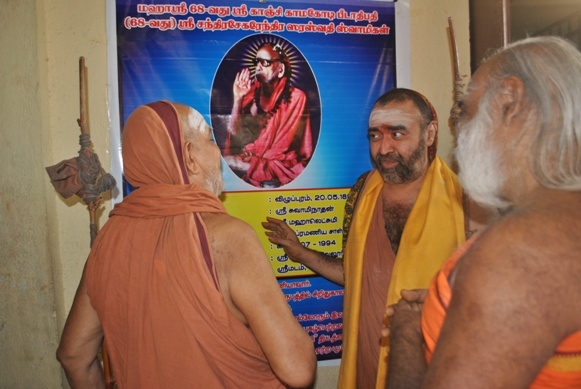 The town is historically significant for the Sankara Matham, and houses the Adhistanams of the 66th and 67th pontiffs of Sri Kanchi Kamakoti Peetam - Sri Chandrasekarendra Sarswathi the VII and Sri Mahadevendra Saraswathi the V. The 68th Pontiff His Holiness Sri Chandrasekharendra Saraswati Swamiji was initiated into ascetic order and ordained as the 68th Acharya of the Kanchi Kamakoti Math in Kalavai. 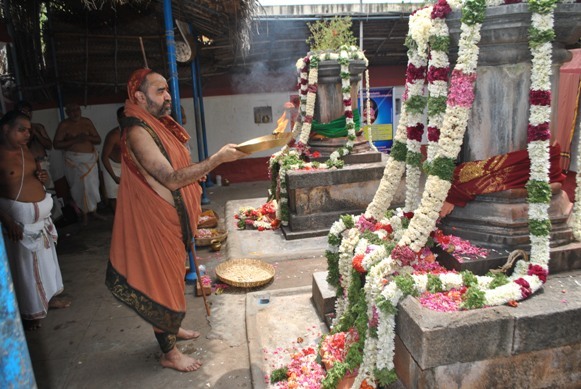 The Sankara Matham is located very close to the Bus-stand. 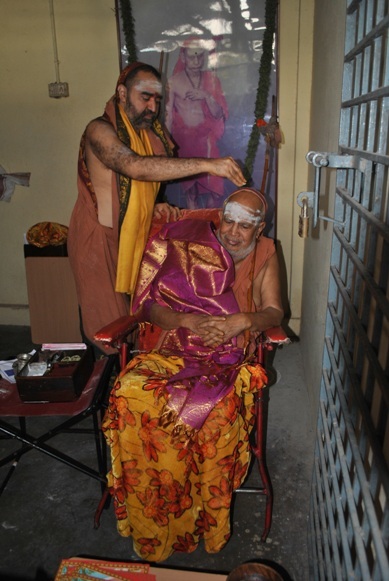 The Matham also runs a home for the aged and a home for the physically handicapped, close to the Matham premises.